Pioneer4you are no strangers when it comes to box mods and it seems their iPV line is forever expanding. 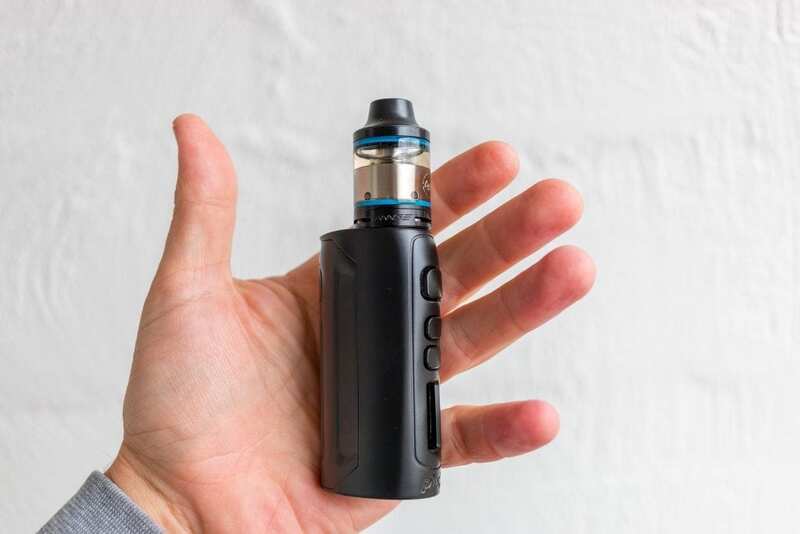 The latest offering comes in the form of a small single 18650, 80w Temperature Controlled device – it’s called the iPV D4. It’s an evolution of the iPV D3 and runs the ever popular YiHi SX310H chip. There are no technological advances from the iPV D3, however the appearance, aesthetics and ergonomics have been re-visited. As there is nothing new from an operational perspective this will be quick run down on my overall impressions of the device and I’ll weigh up the pros and cons to let you know if it is something I can recommend or not. I would like to acknowledge GearBest for sending the iPV D4 my way for the purposes of this article. 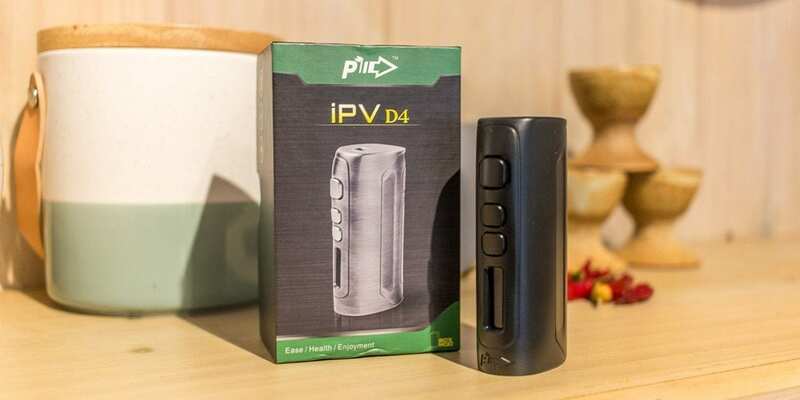 Click Here to Check out the Pioneer4You IPV D4! The packaging on the iPV D4 is fairly plain. A petite little box with black and green and a product logo on the front. Inside we find the mod safely tucked into it’s foam insert, soundly protected from any damage that may be caused in transit. The first thing that took my attention was how small this little mod was. I pulled it out of the box and was amazed at it’s size. I would have to say it’s the smallest single 18650 mod that I have seen. A very good looking, compact mod that also feels really nice to hold. There isn’t one straight edge on it and I’m not joking when I say it’s small. Did I mention it was small? I received the black version of the iPV D4 and it also comes in Bronze Gold and Purple finishes. I was really impressed by the curves and the overall finish on the mod. It has an oval like shape, but each side also has contours of their own. The build quality feels impressive and doesn’t feel cheap or flimsy. It feels solid and robust seeming like it will withstand some heavy use. I think durability and portability are the first words that come into my mind when looking over the iPV D4. It has some weight to it, which I like because it shows that the mod is sturdy and will be able to take some beating. The buttons feel nice and sturdy and there is definitely no rattle in them. The screen appears to be nice and compact and is recessed into the face of the mod below the selection and fire buttons. The spring loaded 510 connector takes a minimal approach and does not incorporate a juice well or any recessed peripheries. The bottom of the mod has 4 vent holes and a charge port. Whatâ¦no micro USB charge port? More on that later. Installing the battery is simply done via the removable battery door. Held in by magnets, it is easy to take apart and put back together. The battery orientation is clearly marked with the positive terminal facing the bottom, away from the 510 connector. Five clicks on the fire button will power up the mod. It will enter watts mode as default on initially powering up the mod. Here, the up and down buttons will change the wattage and holding a selection button down will scroll thru the wattage range at speed. Five clicks will enter the selection mode. Here you can select to enter Joules mode (TC mode) and select the degrees up to 300C/572F. Or you can choose to power off the mod or view the version information. In Joules mode, the up and down selection buttons will change the Joules output. Temperature mode has support for Ni200, Ti01, SS304 and TCR – which means that most wires are covered and if not a custom TCR can be set. Resistance lock in TC mode is achieved by holding down both selection buttons at the same time. The mod can also be locked by holding down the fire and up button simultaneously. The screen displays all of the critical information in a very clear and concise manner. Either the current Wattage or Joules will be displayed depending on what mode you are in at the time. It will show the resistance of the coil and what voltage is being drawn from the battery, in Power mode. In TC mode will show the upper temp limit instead of the voltage being drawn. It shows a big battery meter at the end, giving you an indication of what battery level you have left. Charging the battery is simple enough providing you use the supplied cable it comes with. Given the iPV D series all have a a round charging port, you cannot use a micro usb cable to charge it. You simply must take the cable with you if you plan on charging it away from your home. I find this to be a definite con as I have come to rely on the fact that most, if not all, other mods use a micro USB charging port. I know that I have one of these in the car or in the office as my phone takes the same cable. Another con that this leads to is the fact that there are and will be no firmware updates available for the iPV D4 either. I will note that you can use the iPV D4 in pass thru mode when you need too. With a good battery, I found the mod to be responsive and perform well – however I did notice a lag when I first used the mod but I think this was due to a weak or old battery. The power output in wattage mode was accurate and the fact you can fire down to 0.15 ohms means that I had not trouble using a wide variety of attys with different style coils in them. Vaping between 30-40watts, I had the battery last most of the day which impressed me. The battery meter was accurate and depleted accordingly over the course of the day. Of course if you like to vape at higher wattages, then be prepared for a shorter battery life and maybe take a spare battery out with you. In TC mode, the iPV D4 performed just as well as I tried it with both stainless steel and Ni200 coils. The upper limit was definitely adhered to and the Joules setting worked as advertised. I found slightly better performance in battery life when using the mod in TC mode, so it’s doing what it needs to do in terms of the chip. The screen is easy to read and stands up to being viewed in most light situations. It’s clear and concise and responds quickly to your actions. I found the biggest atty I could fit on the iPV D4 was 24mm, any bigger and it would just look silly and have too much overhang. All atomizers I fitted to the mod looked good ranging from 22mm to 24mm. The spring loaded 510 connector ensured that there was no gaps present when fitting tanks. The ohm reading was on par with other mods I tested it against and there were no surprises here. The iPV D4 certainly passes the pocket test, being so small and compact that I could hardly feel it was there. The only reminder it was there was the weight of the device. It’s definitely not heavy by any means, but it has a solid presence. All in all I think this little pocket rocket is a high performing mod that will suit a wide variety of needs. 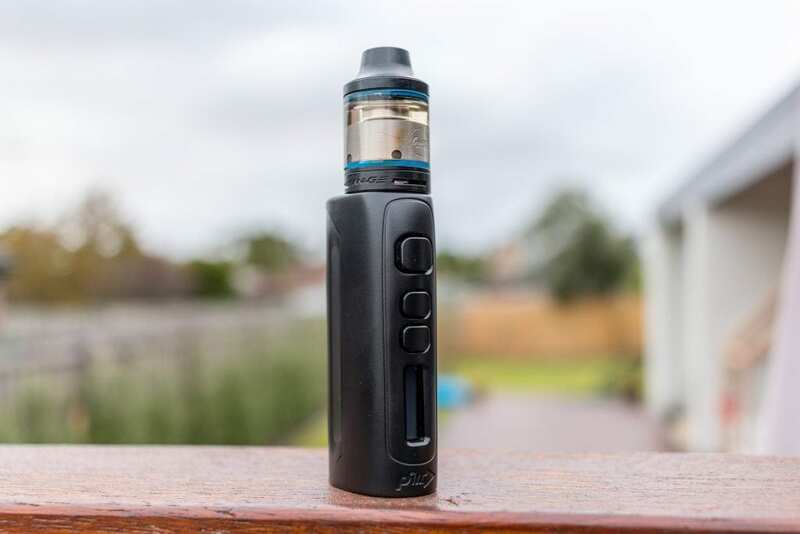 The iPV D4 will meet your requirements in terms of being used in Wattage mode or Temp Controlled mode, being compact, portable and providing good battery life. For the price I have no hesitation in recommending this device if it is something that interests you and meets your style of vaping. I hope this has helped you in your quest for your next box mod. 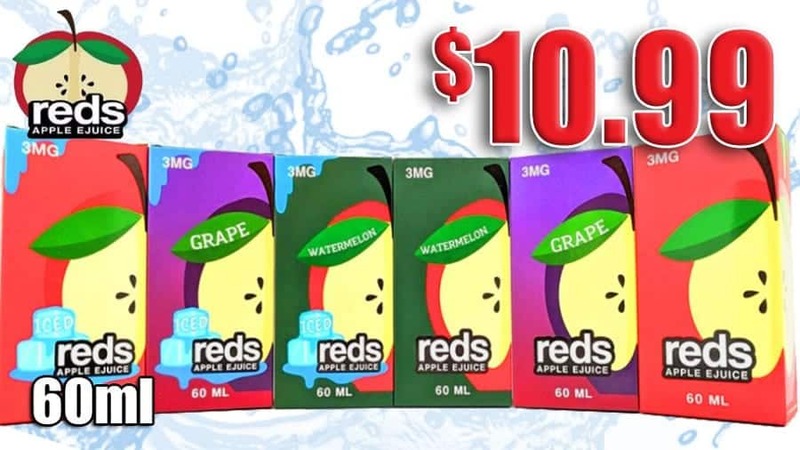 Please leave any questions or comments below, we always love hearing from you here at Vaping Cheap. Thanks for the review! My D3 finally died and I’m going to get one of these. They are some of the sturdiest mods around. Would both 22mm or 24mm tanks work with this?